I’ve really turned my opinion on sour beers around in the last year or so, and the sour style that’s lead the charge for me have been the gose style. 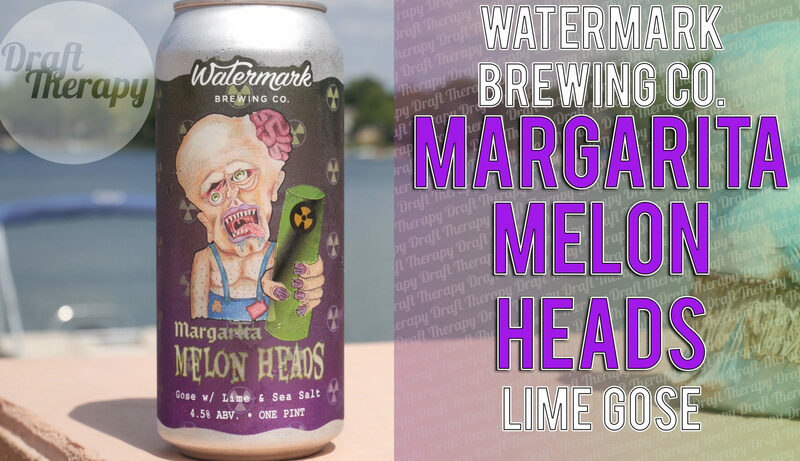 Watermark Brewing Company in Stevensville has realeased a Lime Gose, and called it Margarita Melon Heads, and I’m gonna give that a try today on the channel. Where does Margarita Melon Heads rank in the style? Stay tuned to find out more! Fresh on the heels of their last Dragon’s Milk Reserve release, New Holland is now unleashing a blast of salted caramel on the masses. Salted caramel (the candy) is one of those things that I didn’t realize I loved until after I had it, and after having a salted caramel porter from Pigeon Hill in Muskegon, I knew that it was also a flavor in beer that I loved. Who does it better? Pigeon Hill with their porter, or New Holland with this bourbon barrel aged stout? Keep watching to find out!